is a FREE version of the SSH connectivity tools that technical users of the Internet rely on. Users of telnet, rlogin, and ftp may not realize that their password is transmitted across the Internet unencrypted, but it is. 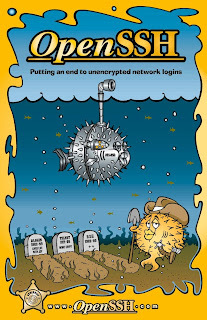 OpenSSH encrypts all traffic (including passwords) to effectively eliminate eavesdropping, connection hijacking, and other attacks. 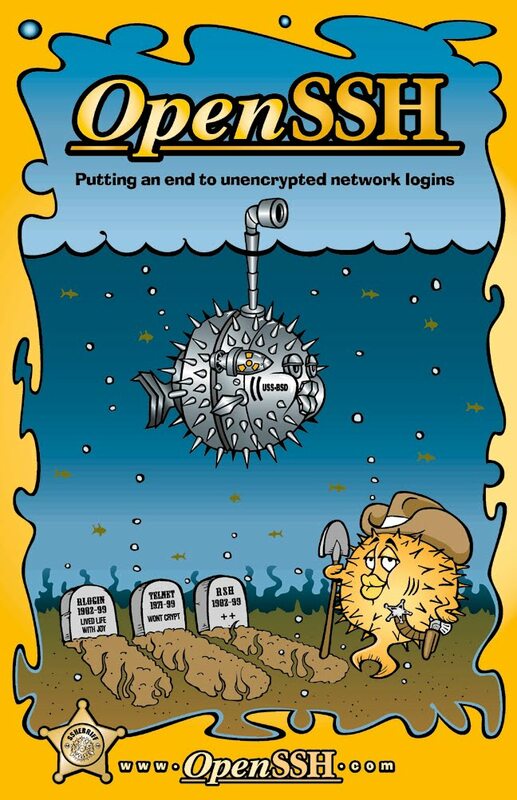 Additionally, OpenSSH provides secure tunneling capabilities and several authentication methods, and supports all SSH protocol versions. An installer for a minimal installation of the Cygwin environment suitable for running an OpenSSH server on the Windows platform. PuTTY is a free implementation of Telnet and SSH for Win32 platforms. TTSSH is a free SSH client for Windows. It is implemented as an extension DLL for Teraterm Pro. Teraterm Pro is a superb free terminal emulator/telnet client for Windows, and its source is available. TTSSH adds SSH capabilities to Teraterm Pro without sacrificing any of Teraterm's existing functionality. NiftyTelnet 1.1 SSH r3 is an enhanced version of Chris Newman's NiftyTelnet 1.1 application which adds support for encrypted terminal sessions using the SSH (Secure Shell) protocol. SSH2 client for MacOS before X, based on BetterTelnet, lsh and GUSI.